Want to look and feel younger instantly? You bet. We all do. LifeCell's "all natural formula" contains 6 of the most potently effective, (yet completely harmless), scientifically proven anti-aging ingredients to dramatically revive your youthful appearance, possibly completely erase the appearance of wrinkles, tighten your skin, zap 10 to 15 years off your appearance, and get you a glowing radiant complexion...for LIFE...because...it attacks...ALL the known causes of skin-aging. Watch the Glamour Reel Moments films. Lip balm with a colourful twist. 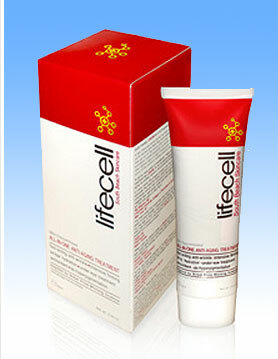 Throw away the others and just use LifeCell!